With advancements in mobile technology, more businesses are turning to tablet POS solutions to improve customer service, increase sales and operational efficiency. Gain all the benefits of a tablet POS solution without sacrificing the features and functionality of your traditional, stationary point of sale system. 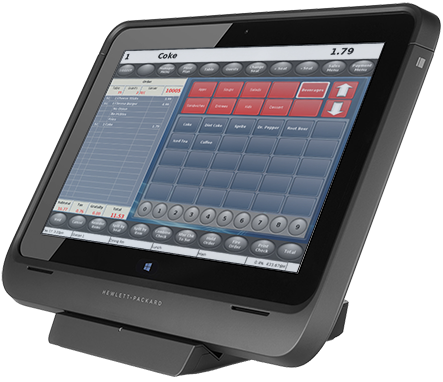 Learn how tablet POS is the ideal solution for tableside ordering and payment, line busting and remote sales applications. Avoid service delays that staff experience when waiting in line to enter an order at the POS system by taking orders tableside. Streamline food preparation by sending orders from the tablet to the kitchen. Reduce customer wait times with line busting. Generate new revenue streams for your retail or restaurant business by using a tablet POS solution to add outdoor seating or conduct remote sales events. Empower staff to engage customers at the point of transaction by completing sales on the floor or tableside. Increase your average ticket size by prompting staff to upsell or cross sell. Empower wait staff and sales associates to provide information to customers on the floor. Look up pricing, inventory and ingredient information. Take payments table side to speed up the checkout process. Get a free eBook to learn about some basic benefits inherent with Tablet POS.